Reliance Jio has updated its tariff plan with new Rs 459 that offers benefits previously available with Rs 399 plan. The company has also phased out Rs 309 data plan that offered 1GB 4G data per day for 56 days. Reliance Jio has updated its tariff plans with more streamlined offers that brings hike in price and axes some older plans. Reliance Jio last updated its tariff plans in July where it offered Dhan Dhana Dhan benefits for another 84 days with recharge of Rs 399. With the update, Reliance Jio's data plan starts at Rs 52 and goes all the way up to Rs 4,999 for its prepaid users. For postpaid subscribers, the data plans range from Rs 309 to Rs 999. The most notable change is the death of Rs 309 data plan, which offered 1GB 4G data per day along with unlimited calls and text messages for 56 days. 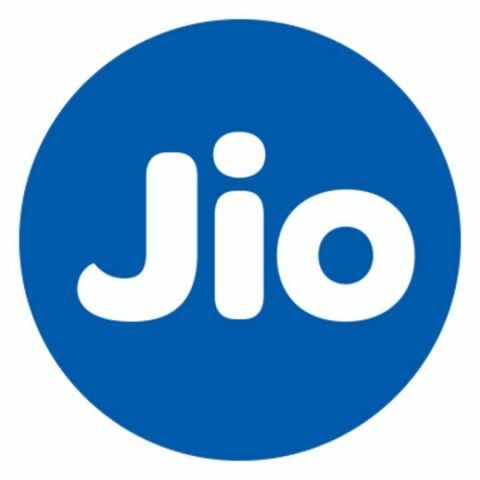 The company has also revised its Rs 399 plan, which is the one most Jio users have been subscribing to since it moved to a paid subscription model. With recharge of Rs 399, Jio continues to offer 1GB 4G data per day, unlimited free voice calls and unlimited SMS for 70 days as opposed to 84 days previously. The company is now introducing new Rs 459 plan that offers 1GB 4G data, unlimited free voice calls and SMS for 84 days. On Rs 509 plan, Reliance Jio is slashing the validity from 60 days to 49 days and users get 2GB data per day, unlimited voice calls and SMS benefits. On Rs 999 recharge, Jio users get 90 days validity, 60GB 4G data, unlimited voice and SMS benefits. The company is also increasing validity on Rs 1,999 plan from 120 days to 180 days. However, the validity on Rs 4,999 data plan is being reduced from 390 days to 360 days. Other recharge options include Rs 52 data plan offering 7 days validity with unlimited 4G data and high speed data capped to 150MB per day, unlimited free voice calls and 70 SMS benefits. On recharge of Rs 98 and Rs 149, Jio is offering validity of 14 days and 28 days respectively. With Rs 98 recharge, Jio users get 2.1GB unlimited 4G data, unlimited voice calls and 140 SMS. With Rs 149 recharge, there is 4.2GB unlimited data, unlimited calling and benefit of 300 SMS. The company notes that its unlimited data plan downgrades speed to 64kbps after exhaustion of fair usage. For postpaid users, Jio is changing validity from 28 days to one bill cycle. 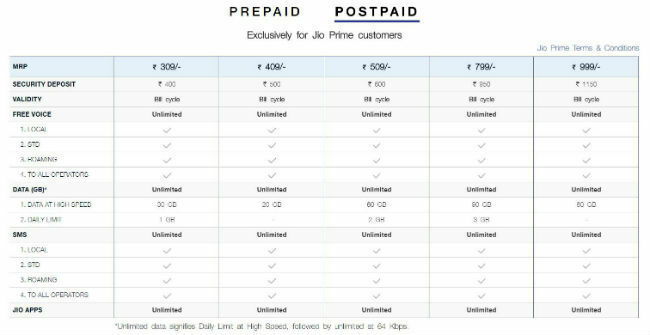 Jio users now have an option to subscribe to plans priced at Rs 309, Rs 409, Rs 509, Rs 799 and Rs 999. Jio recently announced Diwali Dhan Dhana Dhan offer where it offered 100 percent cashback to users recharging with Rs 399 in the form of 8 vouchers valued at Rs 50 each. The move made it clear that Jio is planning to change the pricing and validity of its Rs 399 plan. During the quarterly result announcement, Reliance announced Jio leads its industry peers when it comes to average revenue per user and aims to become profitable in the next few quarters. Reliance Jio has over 138 million active users and promises to give 20 percent more data benefit to its Prime subscribers over competitors. The company has managed to maintain the momentum despite switching to a paid model in April.